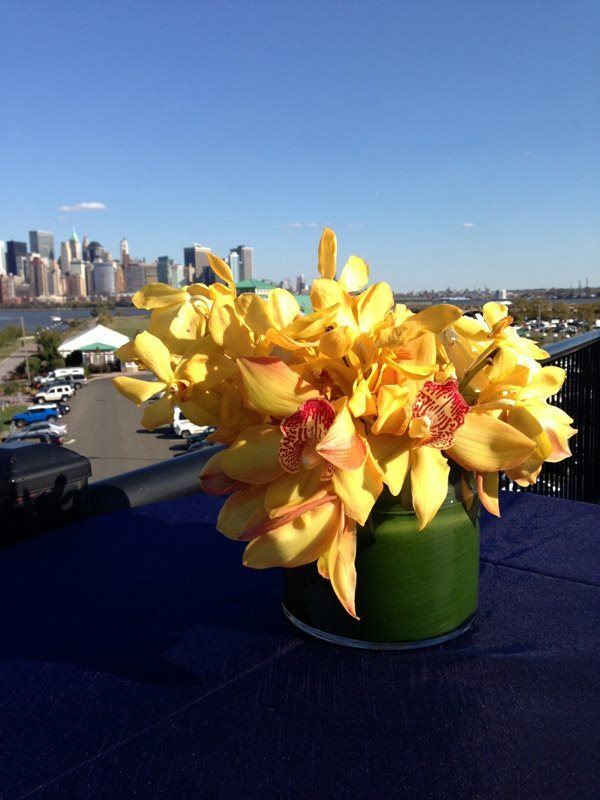 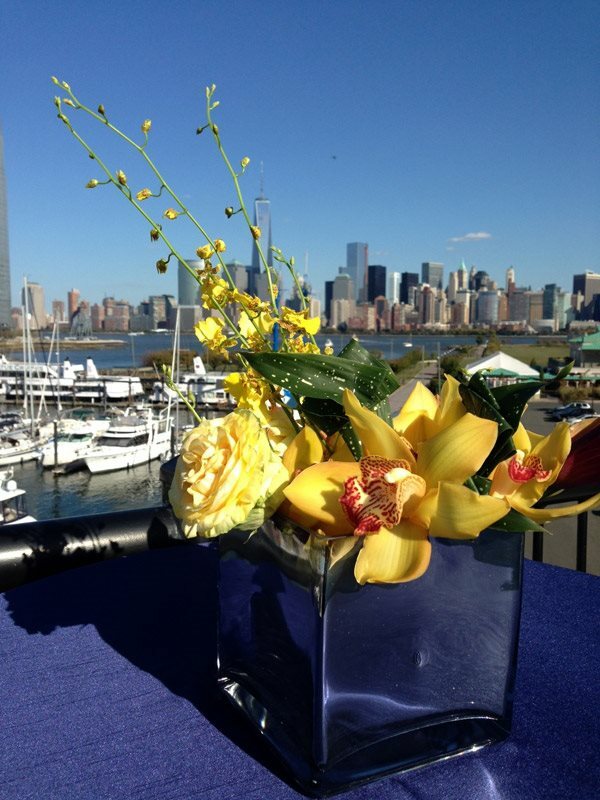 October, 2013 - Event FX Productions, Inc.
Maritime Park in Jersey City was the perfect setting for a gala with the New York Skyline as its backdrop. 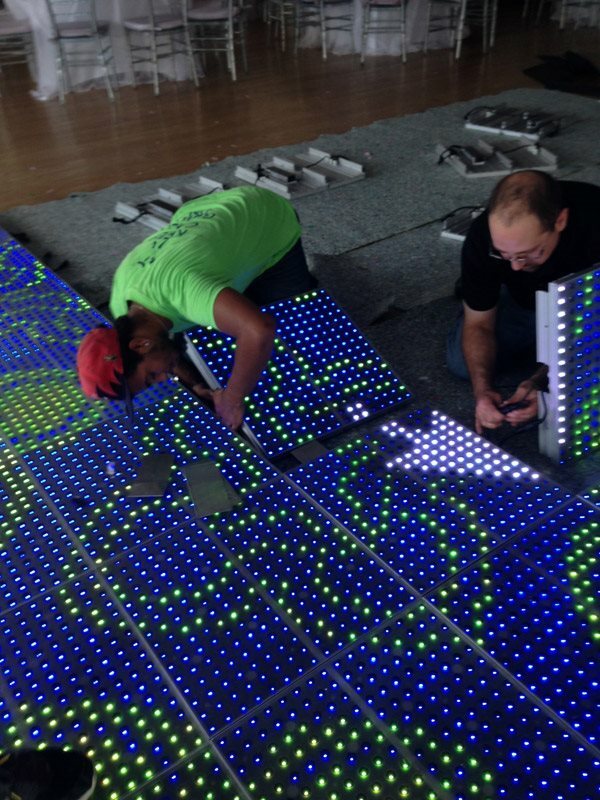 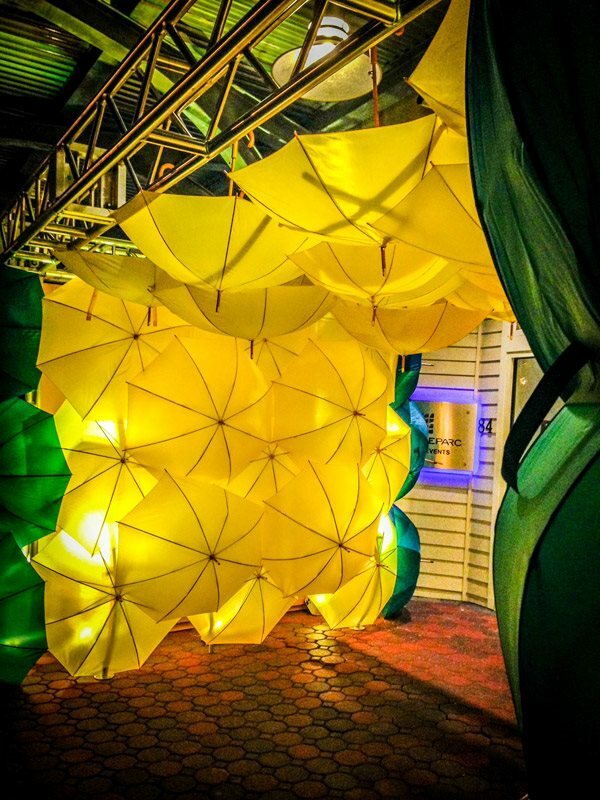 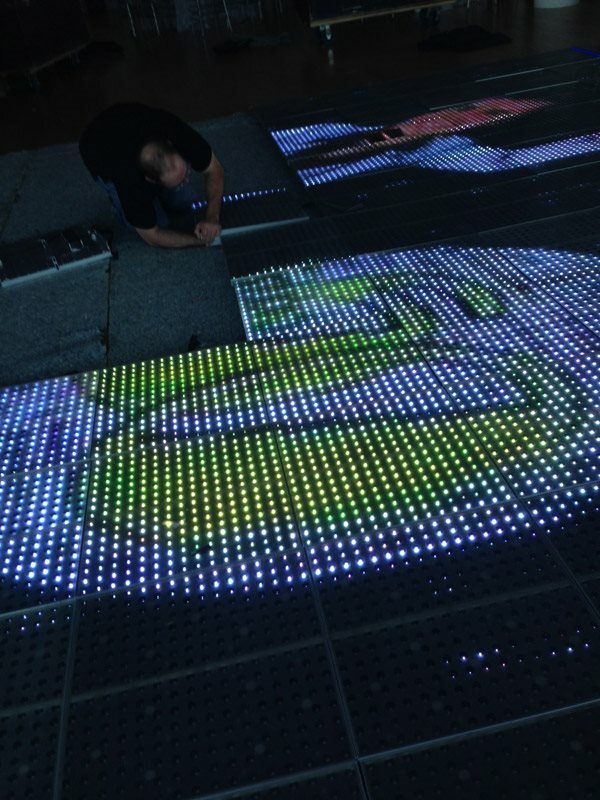 To bring to life the client's logo which included an "umbrella" we created this fun illuminated Umbrella Arch. 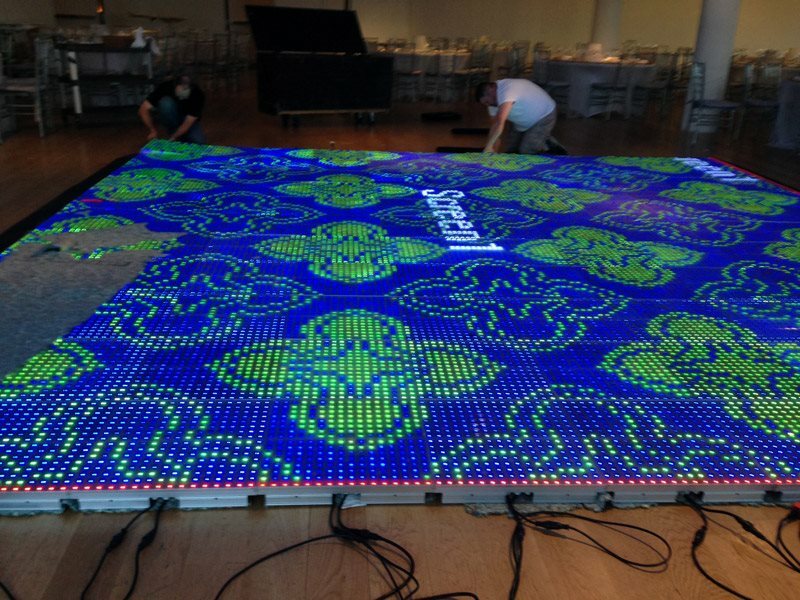 Not only we did create a Fab-filled entrance, but the VIDEO Dance floor blew away the traditional Disco floor! 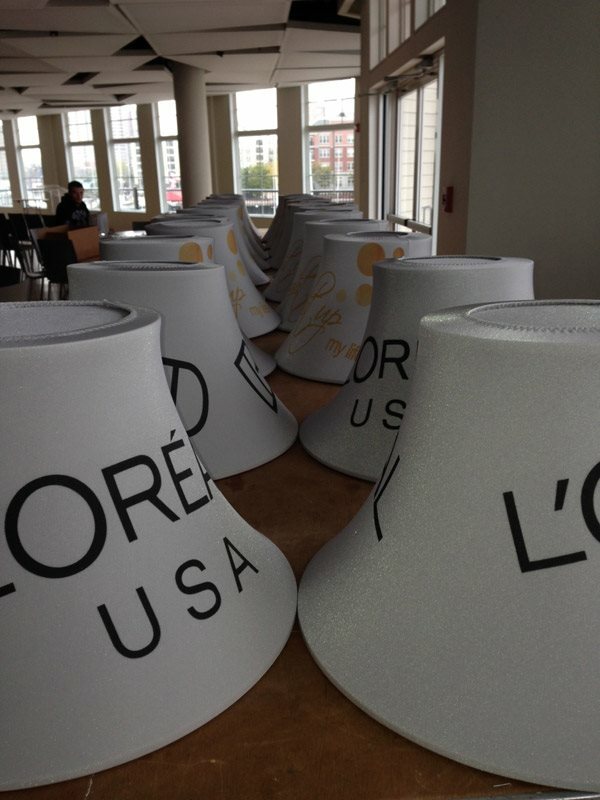 We introduced our new custom branded spandex lampshades and illuminated the base of their tables with our new wireless LED fixtures. 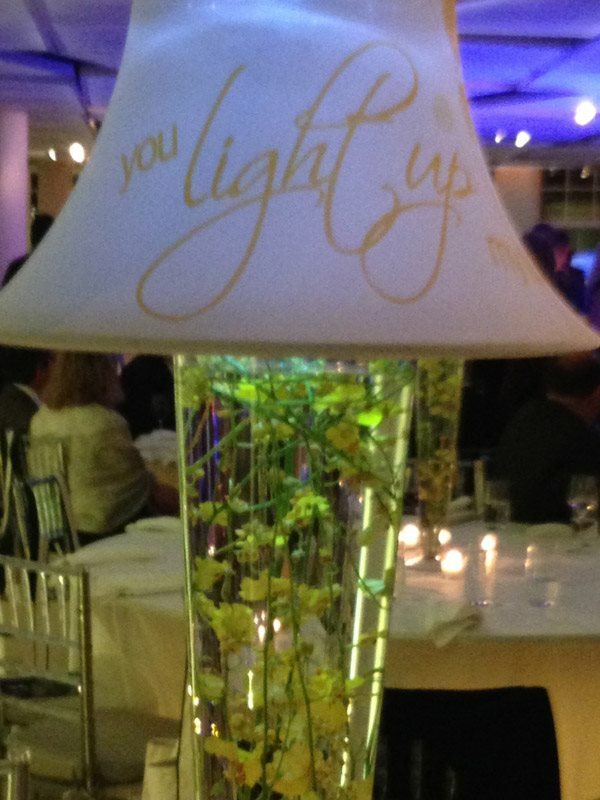 The bright yellow colors created a "happy" vibe in an elegant setting. 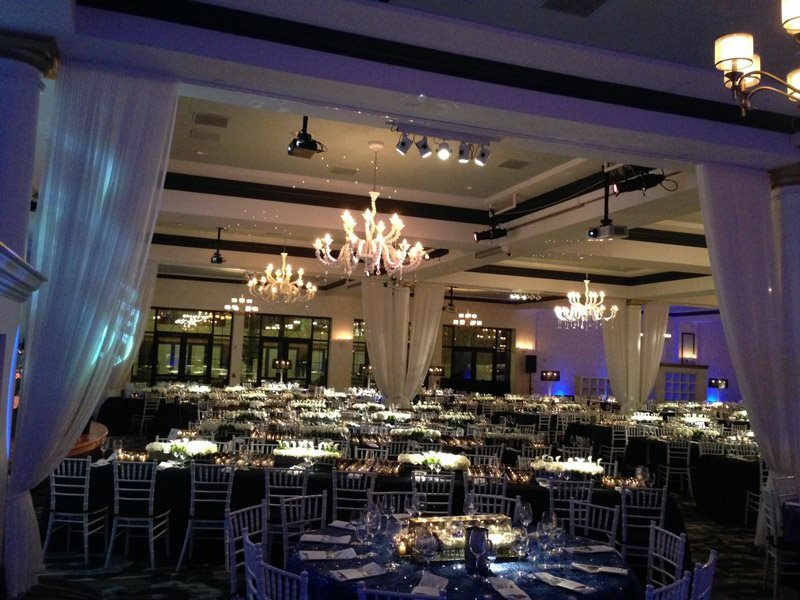 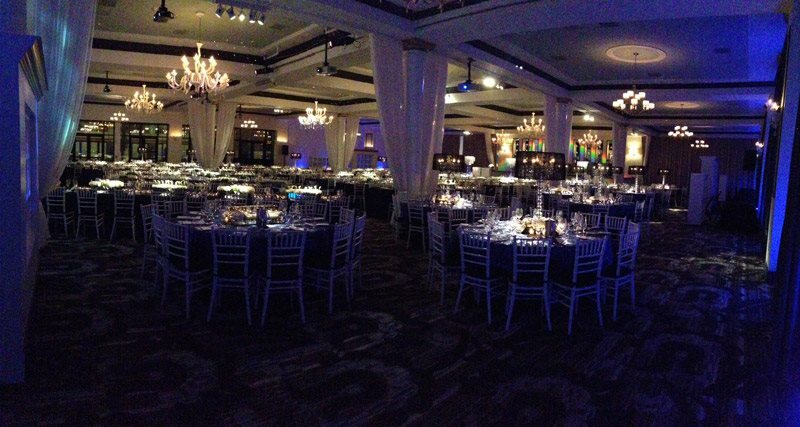 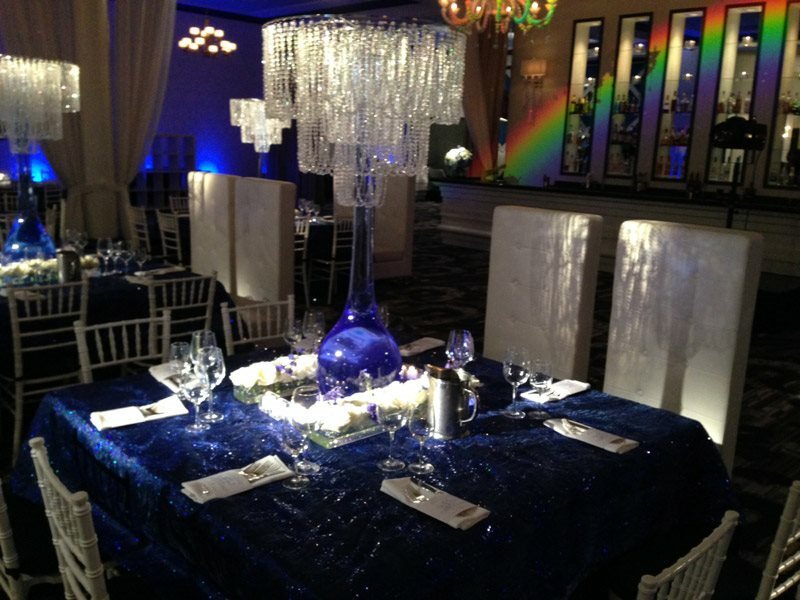 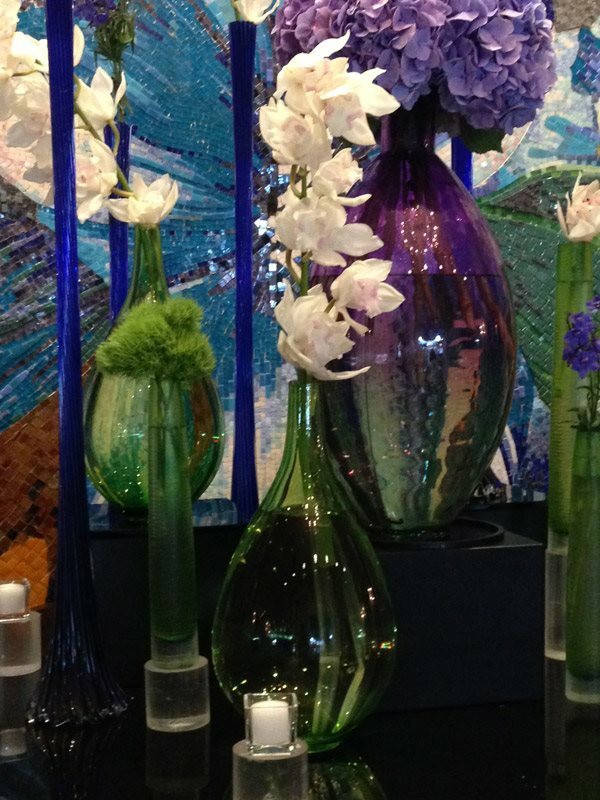 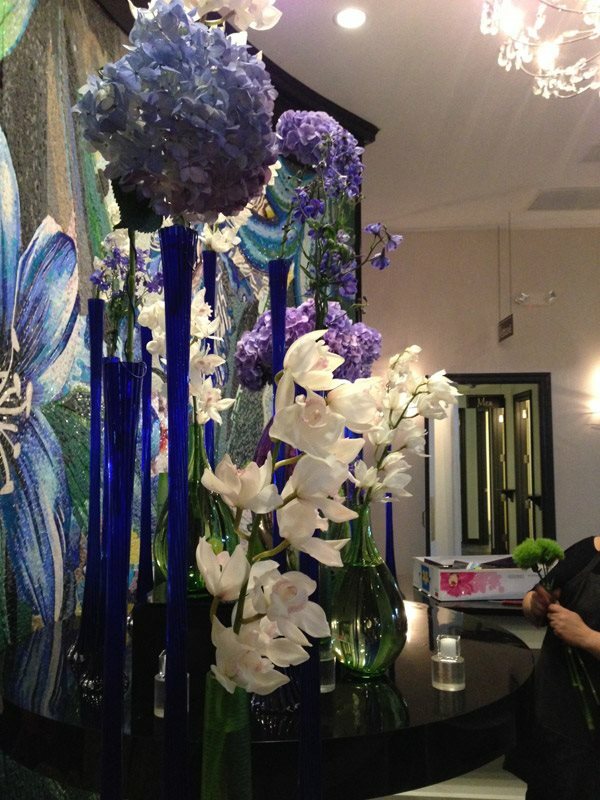 Candlelight and roses echo'ed the romance and sparkle of the evening with blue hues at this years Abramson's Geriatric Rainbow Ball that was held at the beautiful Vie in Philadelphia.